Steve and Sarah Miller lived in the Mifflinburg, Pennsylvania rural area for 18 years. Mifflinburg is a growing town in Buffalo Valley, Pa. 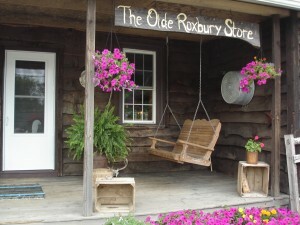 The Millers lived near the beautiful mountains of the Appalachian mountain range. It was in Buffalo Valley where they saw the need to fulfill their dream of building muzzleloader longrifles, leather possible bags, and other items that go with a serious muzzleloader longrifleman. Steve grew up in Holmes County, Ohio as a typical farm boy. Steve as a young boy, had the time and place to trap foxes and to go hunting. He shot his first 10 point buck at the age of 13! One of his childhood hero’s was a ‘hunting uncle’. He developed his artistic talent while going to a small church community school. He uses his artistic talent now while building muzzleloaders. Sarah grew up in southern rural Pennsylvania as a small-farm girl. Sarah’s folks were both teachers, so they allowed her to try her hand at all sorts of craft and food projects. In real life Steve is a ‘concrete cowboy’ and Sarah keeps the home fires burning! 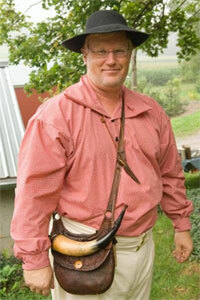 After Steve decided to build his own muzzleloader longrifle instead of buying one. 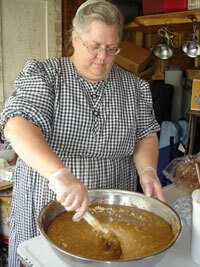 The Millers were invited to do colonial craft demonstrations, starting in 2006. Several years passed and they both decided to take a hands-on workshop at the Conner Prairie Living History Museum near Indianapolis, Indiana. Steve enhanced his artistic flare in engraving for his muzzleloader. While Sarah learned more about the art of leather possible bag making. In the fall of 2011 Steve and Sarah Miller decided to branch out. 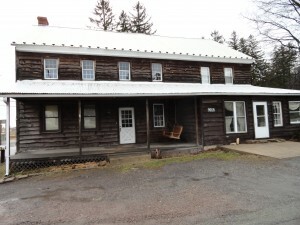 They found their dream house in Brothers Valley of Somerset County, Pennsylvania. Their dream house is an early 1800 stage coach stop and tavern which was turned into a country store and later into four apartments. Steve and Sarah are excited to remodel the 1800 stage coach stop and tavern that was lately an apartment into Steve’s Gunshop and an Early American Craft and Gift Shop. 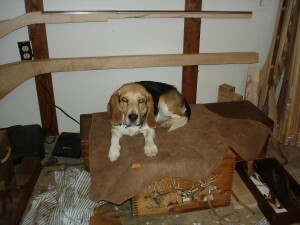 Steve’s muzzleloader workshop will no longer be in a basement workshop. 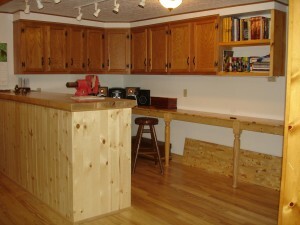 Steve’s muzzleloader workshop area is light and open. So if you get in our area, stop in for a cup of coffee and to chat a bit! As we were remodeling our early 1800 stage coach stop and tavern turned into a country store, turned into four apartments, and now the shop keepers and their shop were taking up residence … We discovered a fireplace that was behind a modern bathroom wall. 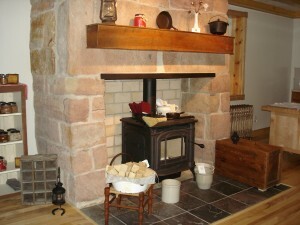 We had a chimney sweep, restored the fireplace, adding fire bricks, a hearth, chimney liner, chimney cap, and a wood stove. This is now the center of attention and admiration of Miller’s Olde Roxbury Store, in Roxbury, Pa, near Berlin, Pa.
Steve’s new muzzleloader shop has ample elbow room for him to work on his muzzleloader longrifles. This had been one of the four kitchens in Miller’s Olde Roxbury Store. 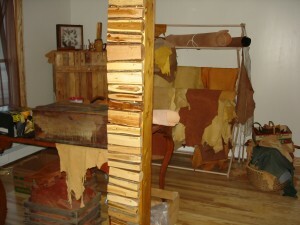 As Steve and Sarah both work on leather projects such as possible bags, lead ball bags, flint wallets, leather balls, and old fashioned colonial money wallets , they needed an organized leather shop. Their leather shop is in the same room as Steve’s muzzleloader longrifle workshop. So now we have a happy house, home, and a cozy store!